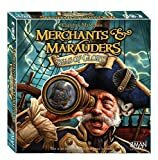 Merchants & Marauders is an unusual dice rolling and hybrid economic board game with a pirate theme. Players take on the role of the Captain of a ship and compete to be first to gain 10 glory points in the Caribbean archipelago. You can score these glory points by defeating opponents and NPCs in combat, completing missions or rumors, plundering, buying grand ships, buying and selling cargoes, etc. There is a unique trade system and combat system that offer you to make critical decisions. 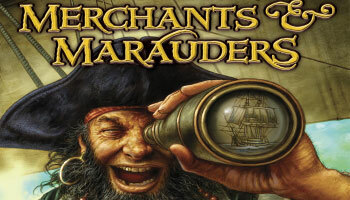 But the biggest component of the game is wheter to turn "pirate" or remain as a trader or a neutral party. Being an aggressive pirate is rewarded with bounties being placed on your head. 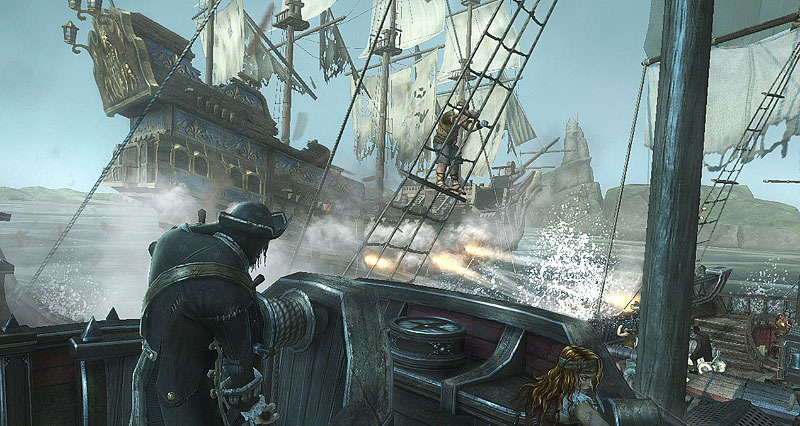 However, pirate players can get quickly powerful and become a real threat to others. The object of the game is to gain 10 Glory Points. Whenever a point is gained, the player moves a cube in his or her color up the Glory track found on the Game Board. Merchant Tokens are used to represent merchants that can be engaged and plundered. As the merchants are raided the Merchant Tokens are removed from the board and placed face-down on the Merchant track found on the game board. If the track contains 8 Merchant Tokens at the beginning of a turn (prior to drawing an Event Card), then blindly distribute them face-down so that each Sea-Zone again has one. Shoot: Try to hit the enemy ship with cannon-fire. Board: Try to board the enemy ship. Flee: Try to escape from the battle.